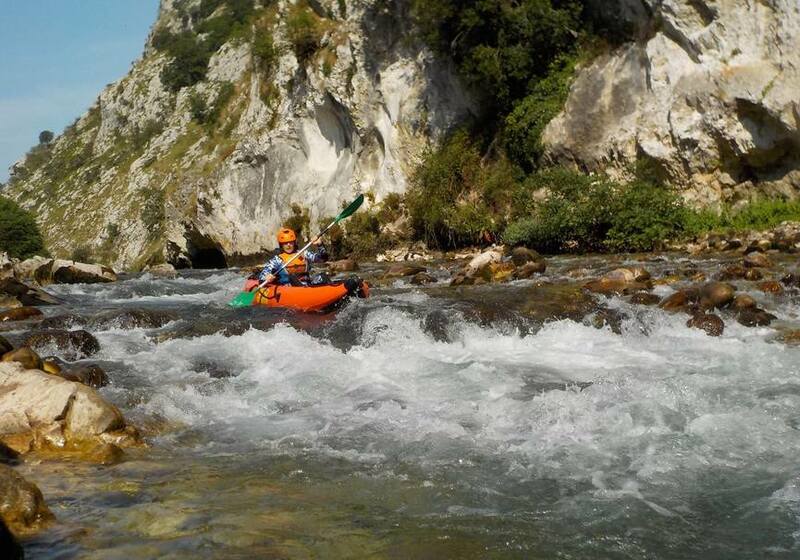 Would you like to take part in one of the most popular canoe descents in Spain? 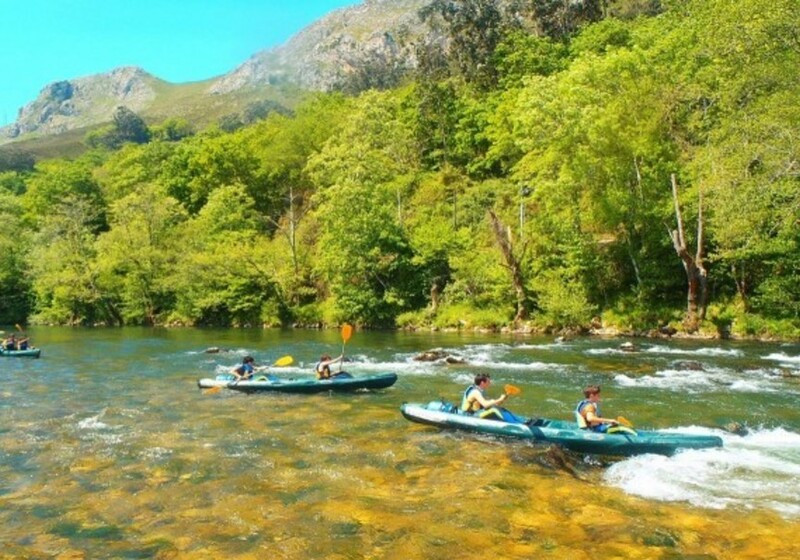 The river Sella in Asturias awaits you. The abundant annual rainfall in Asturias means that green landscapes and lush forests are distributed throughout the principality. A multitude of natural spaces coexist throughout its territory making it a natural paradise with six Biosphere reserves declared by Unesco and a multitude of protected areas between the coast and the mountains. 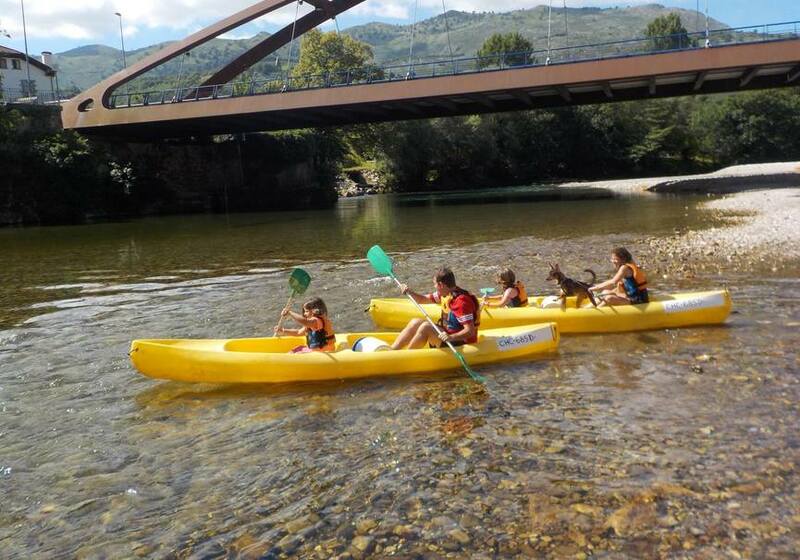 You can find a wide variety of routes and water activities for kayak along its beautiful coast or its rivers, including the Sella River. 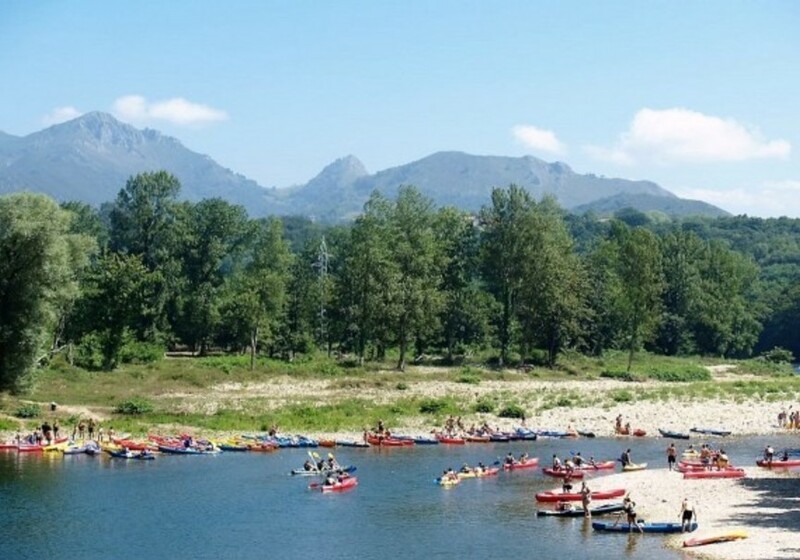 The river Sella is a short river that flows into the Cantabrian Sea and that is born in the Picos de Europa, more precisely in the well-known Fountain of Hell. In its 66 kilometers in length, it leaves a natural environment of unsurpassed beauty surrounded by a spectacular forest. 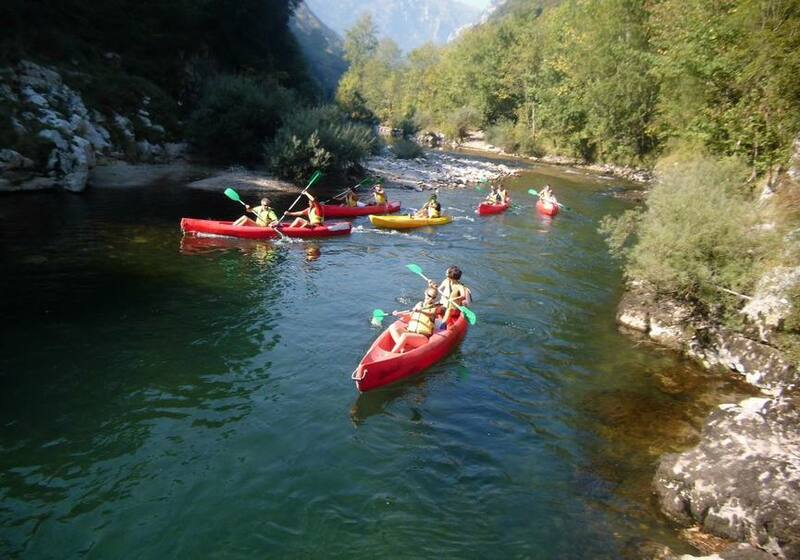 The route from Arriondas to Ribadesella is about 16 kilometers long and takes approximately 4 hours to finish. There is the possibility of a half-way stop at 8 kilometers (2 hours). At the end, the company will pick you up (at the second stop) to go to the starting point. 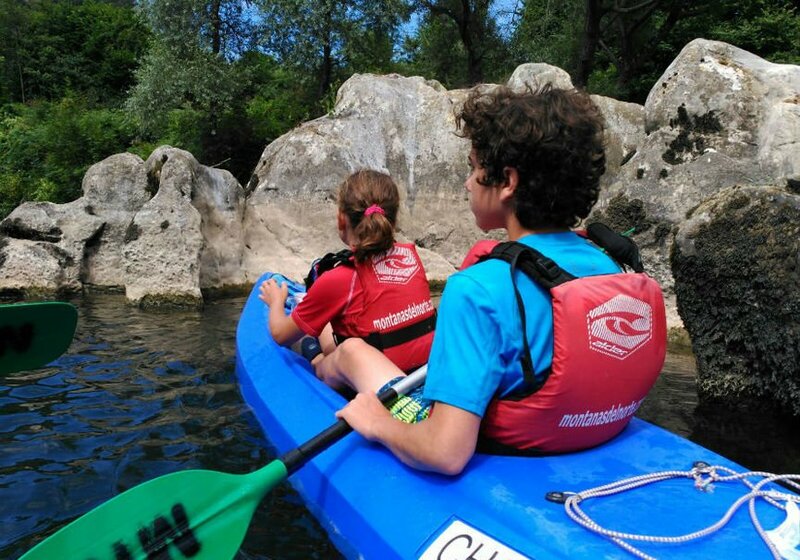 During the tour you can rest on one of the many existing river beaches. The canoes go from 1 to 3 places. 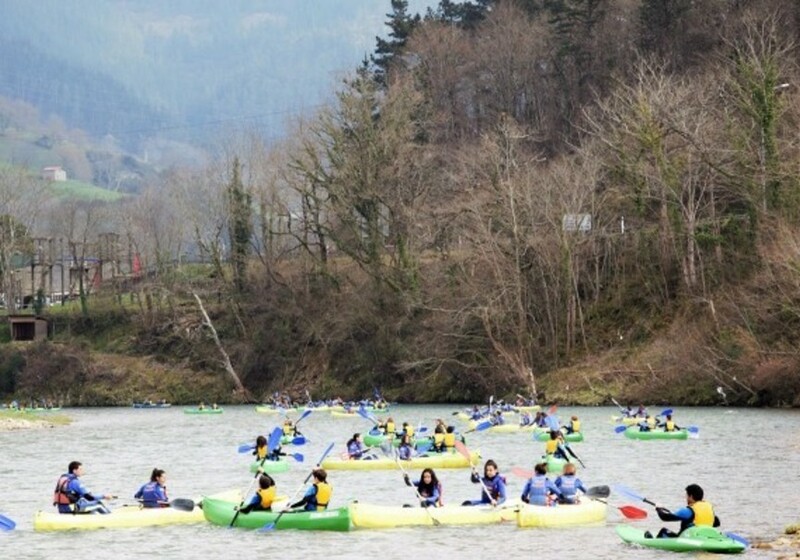 The schedule is one departure every 15 minutes from 11:00 a.m. to 1:00 p.m.
"If you like water sports, come to Asturias and get to know this beautiful kayak route on the impressive Sella River." You have to be at least 5 years old. After this time, zenitexperiencias has established that you have up to 6 days before the activity to cancel and get a refund. Adrian will contact you once you finish the reservation in order to inform you about the exact meeting point.